LAST TRUMPET MINISTRIES CONFIRMS CUTTING EDGE ANALYSIS THAT EVENTS ARE OCCURRING ACCORDING TO OCCULT TIMING AND OTHER OCCULT CONSIDERATIONS! Title: LAST TRUMPET MINISTRIES CONFIRMS CUTTING EDGE ANALYSIS THAT EVENTS ARE OCCURRING BASED UPON OCCULT TIMING AND OTHER OCCULT CONSIDERATIONS! Subtitle: Former Witch, now Born Again Pastor, David Meyer, confirms what we have been saying all along: events are marching to a time table based upon Satanic considerations, including numbers. 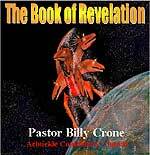 From the beginning, Cutting Edge has proclaimed that Satanic secret societies had created a plan to stage the appearance of their Christ -- Biblical Antichrist -- that, when completed, would fulfill prophecy exactly! As we discovered this plan, and as the Lord Jesus gently led us on the path to discovering the details, our faith increased so greatly because we could see the hand of God forcing the demonic realm to create a plan through humans dedicated to Lord Satan that fulfilled God's prophecies precisely! If Satan were the hot-shot being his followers believe him to be, he would have created a plan to produce Antichrist that bore no resemblance whatsoever to prophecy; therefore, the fact that his plan fulfills prophecy exactly demonstrates the power and the glory of God! As we were studying the occult plan, we insisted upon lining up each detail of the plan to both Bible prophecy and Biblical doctrine; where these three elements lined up exactly, we knew we were examining a part of the Illuminati plan that would be fulfilled. Where we did not get a match, we realized that this detail of the occult plan would likely not be enacted, and we totally disregarded it. This plan of action has served us right well, for we have been able to accurately inform our readers of events that are planned to come to pass, and when they do, will fulfill prophecy perfectly. Pagans worship the creature rather than the Creator Who made all things! Pagans in the past have worshipped snakes, birds, fish, stars, suns, the pattern of stars and their movement (Astrology), and numbers. Occultists believe these objects possess power, and they try to regulate their life and their plans according to the right astrological and numeric combinations! We Christians have a really difficult time understanding this mindset, so too many Christians refuse to even acknowledge that sane human beings act this way. But, exceedingly intelligent men and women who are occultic do believe this way and act accordingly. Satan -- Lord of this World -- is able to place his men and women into positions of temporal authority, unless God specifically intervenes. This means that the leaders of the nations throughout much of history have been men and women who possess this pagan mindset. Today, the rulers who control the armies, navies, air forces, and Weapons of Mass Destruction are men and women who have this pagan mindset. Therefore, if you are to have any hope of understanding what is happening to this world, and why it is happening, you must understand the pagan mindset of the people making the key decisions. Drawing upon our resources, Cutting Edge has consistently brought to your attention the pagan mindset of current leaders, demonstrating how such knowledge shows the reason many events are occurring and when they are occurring, so that you may be ready for the final stage of events when they actually do occur. Pastor David Meyer carries out the same type of ministry, drawing from his knowledge as a former witch. However, even though Pastor Meyer has less knowledge of the overall Illuminati Plan to produce Antichrist, he has an excellent knowledge of standard Witchcraft and of the pagan mindset. For this reason, you shall see more of a collaboration between Cutting Edge and Last Trumpet Newsletter. President Bush -- "The extreme sin of this world and particularly of this nation of the United States of America is what is bringing on the horrors of World War III. While many ministries are taking the side of President Bush and endorse war as some kind of a 'holy Christian war', the truth is that it is an illuministic war designed to bring forth a new world order and a new aquarian age of witchcraft." We have always said that President Bush is an unrepentant Skull & Bones adept, and that his rhetorical claims to being Born Again just do not square with the facts. At long last, we are so pleased that another major ministry agrees with this understanding. 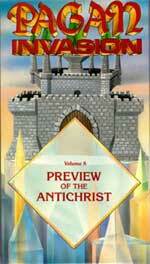 As Pastor Meyer boldly stated: this "is an illuministic war" that will bring forth the Kingdom of Antichrist (a.k.a. New World Order) so that a new Aquarian age of witchcraft can be established over the whole earth. We have always valued the opinion of a former witch, now Born Again in Jesus Christ. How does the old saying go? "You can't kid a kidder". A former witch can spot a current occultist many miles away! Events Occurring By Occult Numbers and Pagan Observances -- "As a former astrologer and witch saved by the grace of God, I must say that I have watched with amazement as this current war was designed after occult patterns. Many have wondered why the President waited as long as he did, and the answer is occult timing. Our President is still a member of the satanic order of the Skull and Bones and is an Illuminist under orders from the Illuminati. Occultism and astrology are what makes their system work. It is their religion!" From his standpoint as a former witch, Pastor Meyer provided occult timing patterns different from the ones we saw, but the end result is identical. "This war has been planned for many years, and President Bush made it a primary subject of his State of the Union message, which lasted exactly 66.6 minutes." [Pastor Meyer, Ibid.] Now, that was one detail that totally escaped my attention! But, it does contribute to the wealth of data that proves Bush is an Illuminist, just as Pastor Meyer states. In fact, at the time of his Inauguration, we spotted some instances in which President Bush demonstrated his true nature, even though most of America slept on. From the beginning, we pegged President Bush to be the kind of Illuminist who might lead the world into the final war "birth pangs" to produce Antichrist. The one point of difference we need to make here is that the "horrifying attacks in the United States" are also planned, and have been planned since the mid-1970's. But, the rest of Meyer's revelations are entirely correct. If you listen closely, you can hear the sarcasm coming from James' pen, for he laughs at those who profess a belief in God, thinking that belief alone makes them a Christian on the road to Heaven. Why, even the devils believe in God, James said, and we know where they are going. Freemasonry has made a living professing "God" instead of "Jesus", and deceiving undiscerning Christians into thinking that this generic profession is equivalent to Christianity! Then, Pastor Meyer continues, making us realize that President Bush deliberately does not say the name of Jesus, even though he does utter the name, "Mohammed" a lot! We have raised this same question: how can a "Christian" president conduct monthly prayer meetings, and never utter the name of Jesus Christ? How can fellow Illuminists like Condolezza Rice lead the group in prayer? Yet, most Christians blissfully sleep on. We reported this quote in one of our newsletters shortly after Bush uttered this most unholy statement, saying that the Koran is God's Word! Notice that the good pastor equated the abysmal knowledge of our Bible to the Last Days just before the return of Jesus Christ! Meyer makes this entirely correct correlation because of this revelation by the Apostle Paul. Notice that Pastor Meyer fully understands; the very fact we see so many professing Christians being so deceived and so Biblically ignorant, is itself a prophetic sign that the return of Jesus Christ is nigh! Once again, Meyer hits the nail squarely on the head! He is entirely correct in equating the attacks of September 11, 2001, to the coming Kingdom of Antichrist. In fact, since that time, events have occurred strictly according to the occult numbers in a tight timetable [Read NEWS1756]. The existence of this timetable provides one with an understanding that events seem to be finally heading for the climax of the ages! Since the attacks of 9/11, we have seen a human implantable chip come to full fruition; for the first time ever, this chip is fully functional, is being produced, and is being marketed. The "Mark of the Beast" surveillance and control system is here, for the first time in world history. Too many people tend to overlook such incidences as these, where a supernatural force is causing local, national, and world events to occur in such a way as to cause these special numbers. As Pastor Meyer reiterates, this is sign from God that His judgment is nigh. No one who knows God's judgment pattern should disregard these numbers when they occur in the Daily News! We thank Pastor Meyer for his insights into both the occult realm and occult thinking on the one hand, coupled with his understanding of Bible doctrine on the other hand. Today, we must follow Jesus' command to be as "wise as serpents and as harmless as doves". While we are supposed to be very aware of the events of the day so we can ascertain how close to the door Jesus truly is (Matthew 24:33), we are also supposed to be active in the work of the Lord Jesus, for truly, the time is coming when no man shall work (John 9:4). What are you doing with your life during these troubling, perplexing times in which we are passing? Are you seriously active in soul winning or in discipleship, or some other important work relating to the salvation of precious souls? Or, are you "at ease", enjoying our present material prosperity, thinking that the "good times" shall never end? Will your faith remain when the Lord begins to shake the heavens and the earth in preparation for His End of the Age judgments. Are you spiritually ready? Is your family? Are you adequately protecting your loved ones? This is the reason for this ministry, to enable you to first understand the peril facing you, and then help you develop strategies to warn and protect your loved ones. Once you have been thoroughly trained, you can also use your knowledge as a means to open the door of discussion with an unsaved person. I have been able to use it many times, and have seen people come to Jesus Christ as a result. These perilous times are also a time when we can reach many souls for Jesus Christ, making an eternal difference.